Called to install some exhaust fans in bathrooms. This was the first thing I saw when I got out of the truck (probably should have gotten back in truck and left). Wow! That is a true hack job! Was this a "homeowner special"? I cant imagine that a profesional would do this. 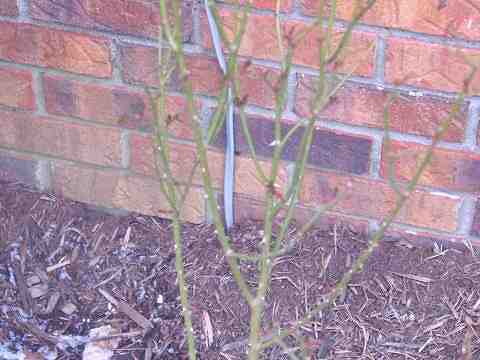 Being that the romex is cleverly positioned behind a rose bush, would that be considered "protected from physical abuse"? Hey, at least he used UF cable! Yeesh, what a bunch of perfectionist. Heheh. hey CT, you'd be surprised what some "professionals" will do. Yes, unfortunately you are correct. I've seen this sort of thing a lot- only difference being that the dangling wire usually feeds a 'handy box' receptacle. 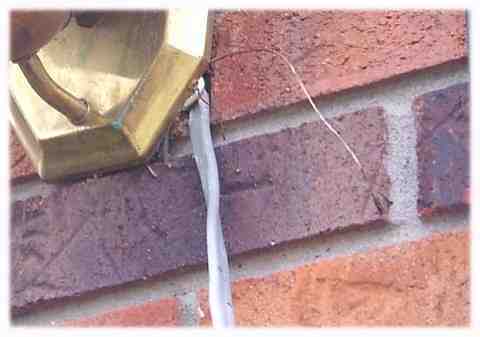 Would it be so bad if somebody made their lamps so that the wall plate could neatly attach to a 2-gang "Bell" box? Or had a lip wide enough for a 1/2" conduit punch? 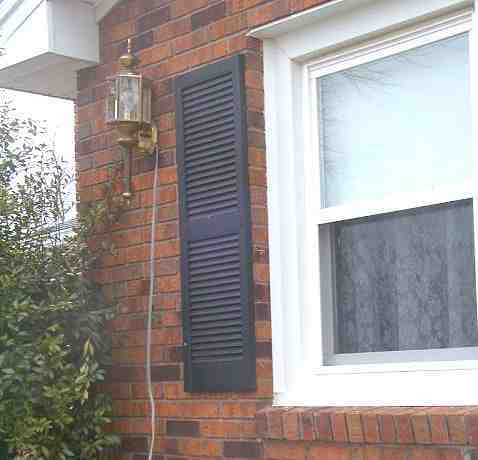 When you think about it, are there any lamps out there that are designed to be added after the house is built?